Listen to a podcast interview with Dolf VanKestern, son of Han’s VanKestern, as he recounts the true events of this episodes here. Reng and Lynn VanKesteren are Ian Bultman’s (Jack Brinkman’s) grandparents. This episode is based on the true story of their experiences during World War 2. 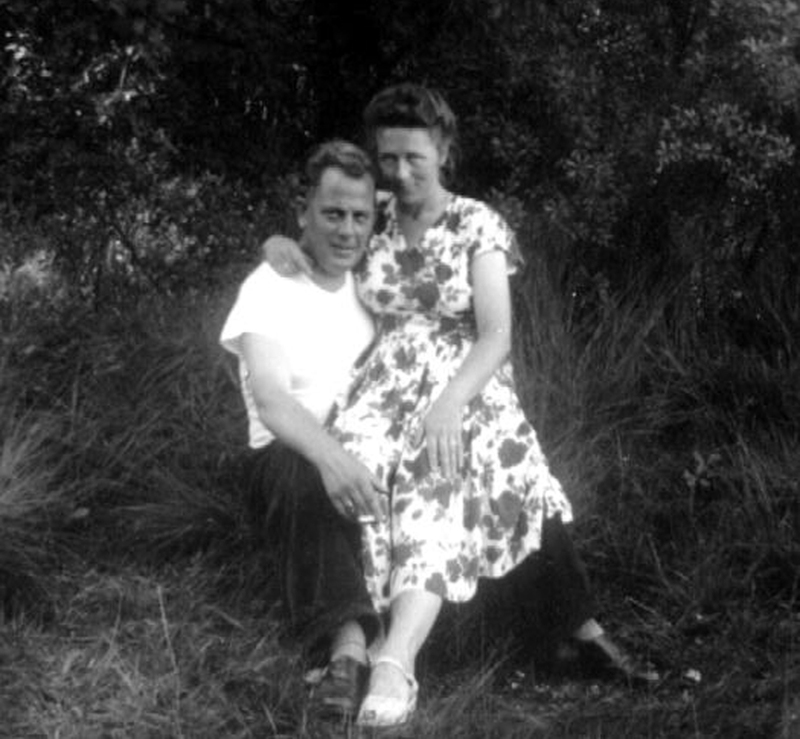 Lynn and Reng met and married during the war. In her later years, Lynn wrote their story down in a book entitled Great is Thy Faithfulness. We used details from her book to help write this story along with interviews with her children. Dutch Underground, Part 1 begins with Kate and Kitri visiting their Omie in Canada. Oma means grandma in Dutch, and Omie is what Lynn chose to be called by her great-grandchildren. For most of her life after the war, Lynn lived in the small town of Chatham in Ontario, Canada. She and Reng had 10 children and 60 grandchildren. 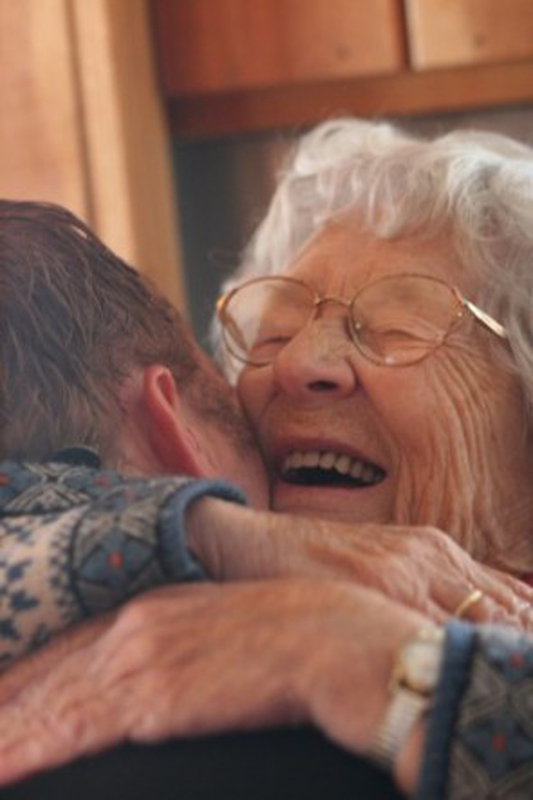 Omie loved each of her grandchildren with such heart, that they each secretly thought they were her favorite. Here she gives her grandson Nate a hug at his wedding. Family was important to Reng and Lynn and they would often gather together and have rousing conversations in Lynn’s beautiful backyard garden. She always served milk buckies (homemade lattes) in her special tea cups and freshly baked Dutch cookies. “Gezellig” was a Dutch word you would often hear Lynn use when her family would gather around her. 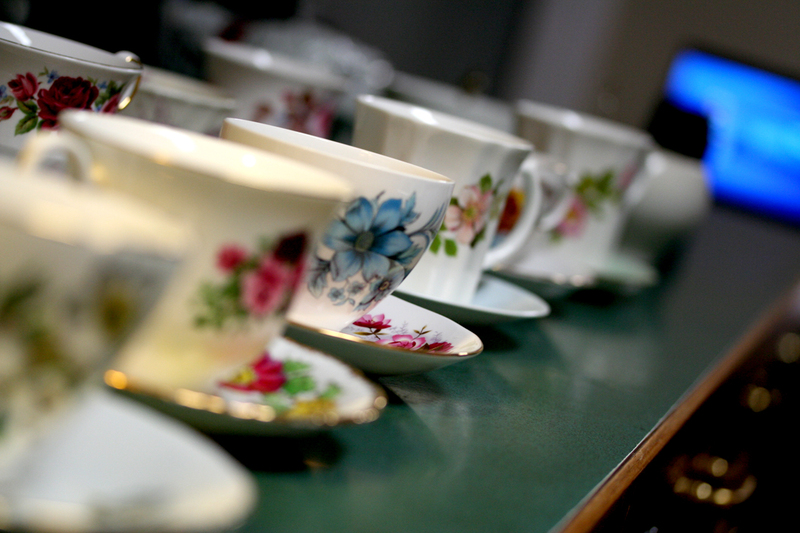 Some of the special tea cups Omie used to serve her milk buckies. Gezellig is a hard word to translate since there is no word in the English language that adequately translates its meaning. Gezellig is the word the Dutch use to describe the delightful, cozy feeling they have when spending time with their favorite people. 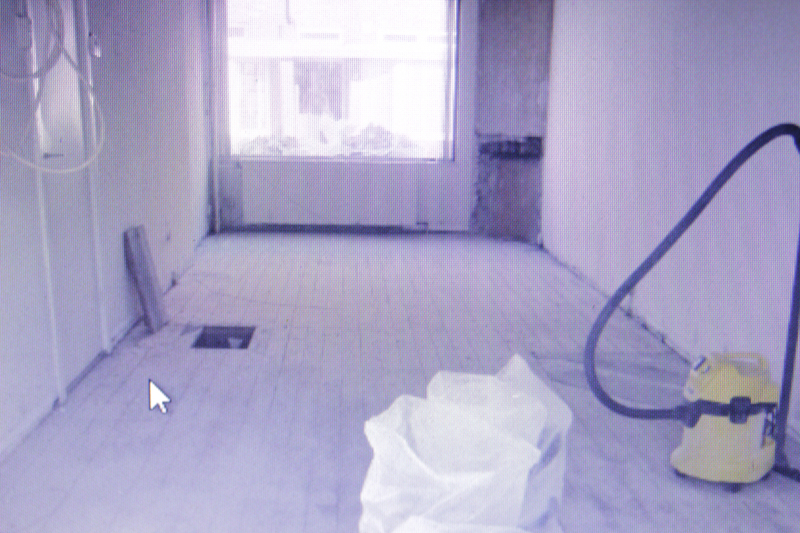 A room can be gezellig, as well as an event. In reality, gezellig is more a feeling you get from an atmosphere of togetherness. Some people say this word encompasses the heart of the Dutch culture. It was definitely the feeling you would have when you were spending time with Omie. We thought the girls visiting Omie was the perfect setting in which to tell their story. 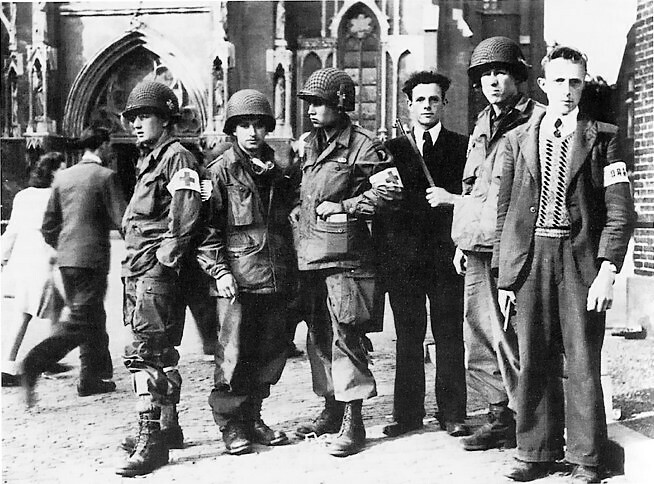 In Part 1, Omie tells about the beginning of their involvement in the Dutch resistance. 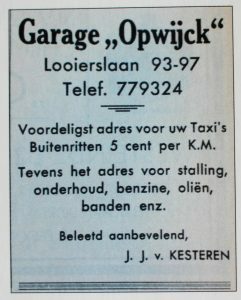 Hans, Reng’s older brother, was well-known around their small town due to the fact that he ran a taxi service and auto shop. He loved his neighbors. Reng loved his big brother Hans. When the war came and the Germans took over, Hans saw the evil that was going on around him and towards the people he loved, and couldn’t sit by and do nothing. 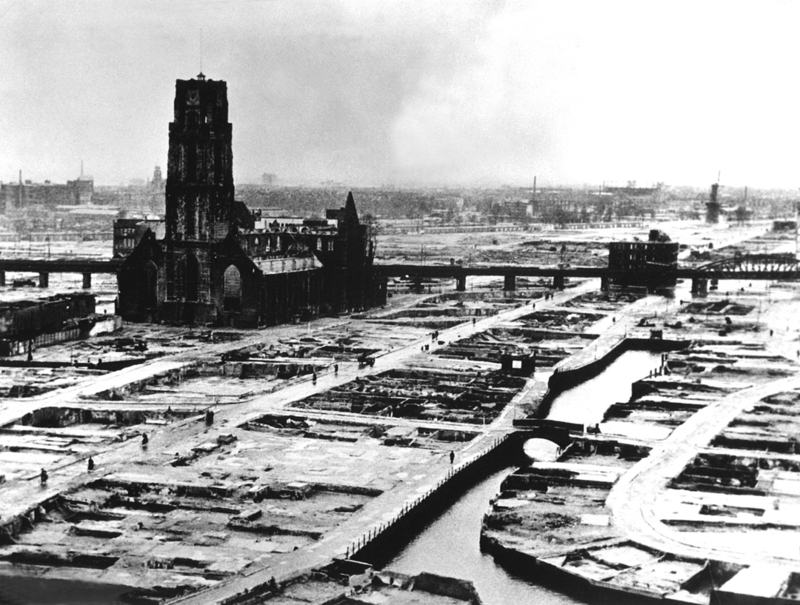 The city of Rotterdam was flattened when the Germans invaded. This was only 16 miles from Han’s house. Photo Public Domain. During the war, because of a shortage of food, the government came up with a system that would make sure each person received the same amount of food. Everyone was required to bring their ID cards to a government office. There they would be given a ration card containing stamps that represented different types of food. They could then use these stamps to purchase food. 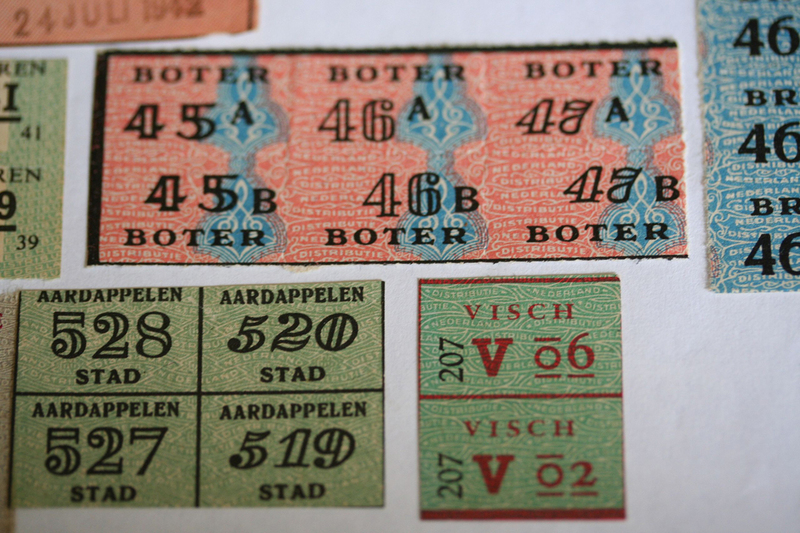 Many people were hiding Jews and other onderduikers in their homes but didn’t have enough stamps of their own to get food for their ‘guests.’ Hans, Reng and their group found creative ways to get extra ration cards for these people so they could eat. Because Reng and Lynn’s house was at the end of a quiet street, the Underground often used their home for meetings. On New Year’s Eve, while Reng and Lynn were celebrating with their friends, two Nazi soldiers saw a light shining through the cracks of their black-out curtains that was much stronger than what would come from a lantern. Just as you heard in the episode, the soldiers barged in and marched over to touch the bulb swinging over the table. If that bulb had been hot, this group would have been in trouble. The Germans would have known they had electricity. But as one of the soldier’s hand reached for the light, Reng suddenly thrust the plate of oliebollen toward him. “Would you like an oliebol, sir?” He asked. The soldier looked around at that little group enjoying themselves and perhaps remembered his own family back home. He decided to not pursue what he was quite certain was an offense. After the Germans left, one of the women pulled an alarm clock out from under her dress. In the excitement, she thought it was a radio and had hidden it there! The little group burst into laughter. At one point, the group decided to steal a car so it would be easier for them to get from place to place. Hans, Reng, Otto and perhaps others snuck into the garage to get the car. Suddenly a German soldier appeared and held them at gunpoint. They all froze, wide-eyed and uncertain of what to do next. The soldier said, “I am guessing none of us want to die tonight. So I am going to give you 10 seconds to run.” He then began counting and they bolted out the door. Omie later would say that even though many Nazis were inhumane in their treatment of others, for some reason, this man chose to spare their lives. God truly was merciful to them that night! Logline: A newly-married, young man endeavoring to keep food on the table during the Nazi occupation of Holland, observes terrible injustice. Should he lay low, or risk everything to protect God’s chosen people against this evil enemy? – Dutch Underground Part 1 & 2. Theme: Help those being led away to slaughter even when doing so is costly. Because we don’t know the details of how Reng and Hans obtained ration cards we used accounts of other Underground workers to create the scenes of gathering them at the Christmas Eve service. We created the character, Ruben, to represent the different Jewish people helped by the VanKesterens during World War 2. The Dutch accent is difficult to imitate. So rather than having our Milwaukee actors even try, we asked God to provide actors in the Netherlands who could help. He accomplished this through the wonderful Dekkers family. They opened up their home to our team and we spent close to ten days with them recording actors in a small studio in their home. The Dekkers were able to find actors for every part except for Omie. 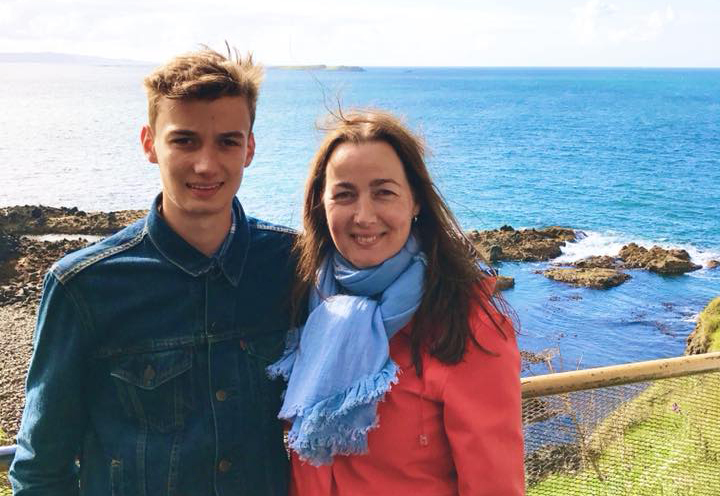 Sandra Dekkers and her son Jorden. Sandra played the German prison guard and Lynn’s cellmate Cookie. Jordan played Otto and the younger Gestapo agent. When we arrived in Holland, we first visited with Hieke Hoekstra. Hieke is a niece of Oma. She looked a little like Oma and sounded a little like her. Although she had no acting experience, we asked her to consider trying to play Oma. She loved Oma and said she would be honored to give it a shot. As they say, the rest is history. Hieke did an amazing job portraying her Aunt Lynn VanKesteren. Hieke did an amazing job playing Omie. It took 10 hours to complete the session, and she did it all in one day! Josh Bultman created the sound design for this episode. He found an old pair of Opa’s shoes that Ian had saved. Opa’s steps you hear in Dutch underground were made using Opa’s actual boots! 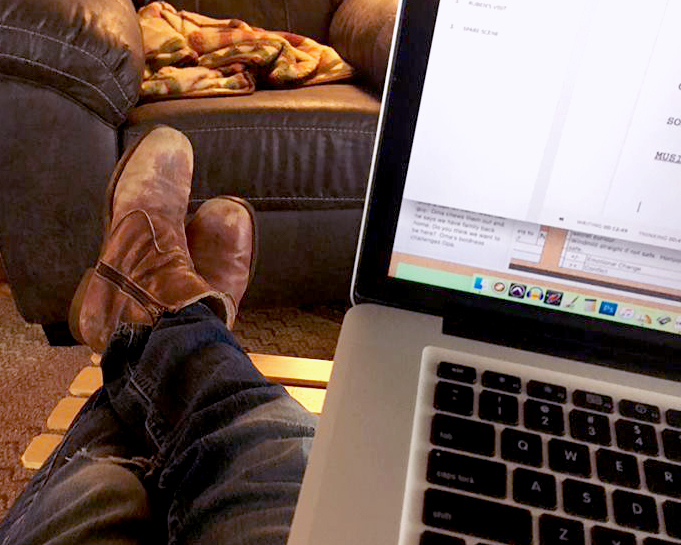 Josh’s dad wore these same boots months earlier while writing the Dutch Underground episodes. Ian writing Dutch Underground 1&2 wearing his grandfather Reng’s boots. 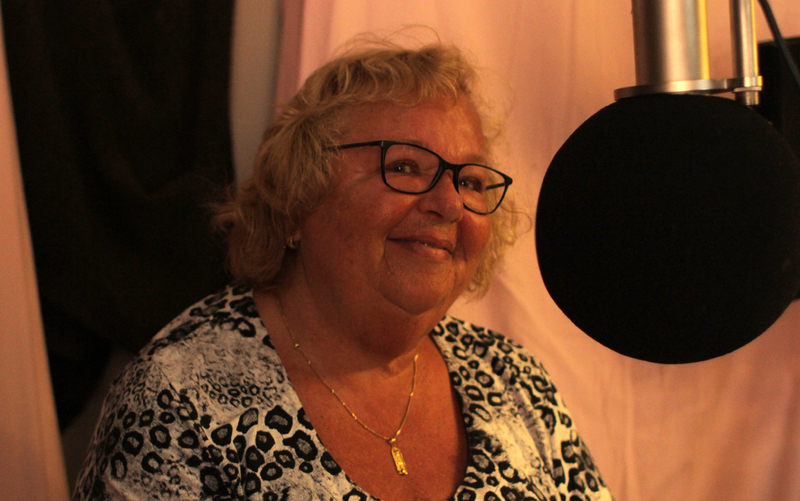 Listen to a podcast interview with Joanne Bultman, daughter of Reng and Lynn, as she talks about the true events of this episode here. 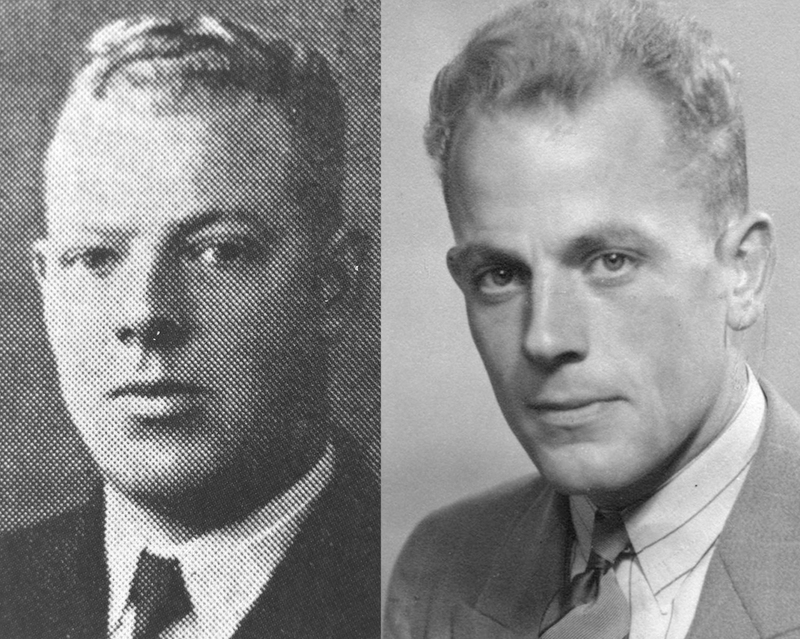 This episode is based on the true story of Ian Bultman’s Opa and Oma’s involvement in the Dutch Underground during World War 2. During the height of their work, Han’s (Reng’s brother) was the main leader of their area, and Reng (Ian’s Opa) was his right-hand man. When Han’s was captured, Reng took his brother’s place as leader. 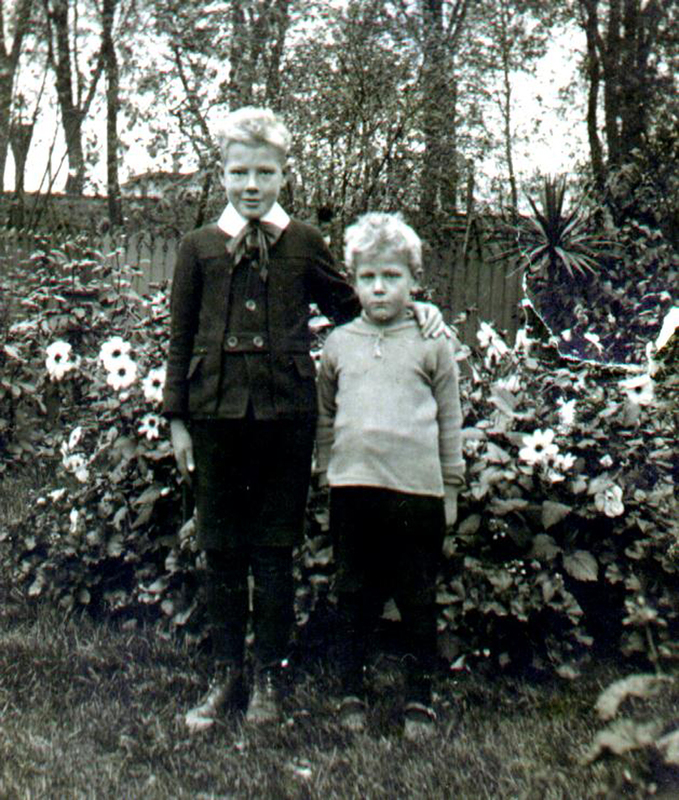 Hans and Reng VanKesteren during the time of the war. The brothers and their team would find ways to obtain ration cards. For instance; pretending to break into the local government offices when clerks, who wanted to support people in hiding (onderduikers), were on duty. The clerks would let the brothers tie them up so it would look like the cards had been stolen. This way the Germans would think the clerks had nothing to do with the cards disappearing. Otto was a real person that worked with Reng and Han’s in the Dutch Underground. Much later, Lynn admitted that she and Reng were concerned about Otto’s behavior. He was too brash! He would strut around in a German uniform stealing cigarettes and showing off. He thought it was fun to pretend he was a German soldier. They warned him to be careful, but he continued his carelessness. One day, just as they had feared, the German soldiers caught him. They forced Otto to tell the names of everyone involved along with their hiding places. One day while making a delivery for the Underground, Reng came upon a German checkpoint. Had he stopped, he would have been discovered and arrested. In that brief moment, Reng realized that if he stopped he would probably be killed. So he decided to speed through the checkpoint without stopping and risk the consequences. As the Nazis fired their machine gun at him, Reng tipped his seat back and continued driving. He looked out the side windows and used the trees lining the road as guides. Later he would describe watching tracer bullets fly past his windows as he sped away. The Lord once again protected Reng and allowed him to continue helping those in need. 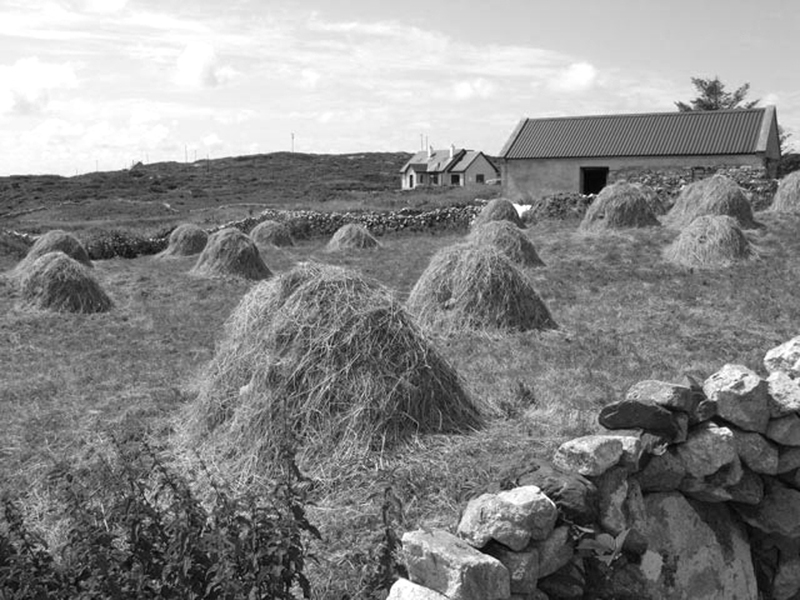 Once, Reng helped a Jewish family hiding in a haystack. They smuggled them to Belgium using a milk truck. After the war, this Jewish family returned, and the father became friends with Reng and even a business partner! The two men would buy used items and resell them. One day Reng’s Jewish friend found a pile of religious books. Because he was Jewish, he had no use for these books written by an English preacher named Charles Spurgeon. Rather than throw them out, he offered them to Reng. “My religion forbids me to throw away books like these, but they are not books I would read. Would you like them?” According to Lynn, as Reng began to read these books, they helped foster a revival in his heart. His faith deepened and his relationship with God became real. This faith eventually went on to impact his entire family. 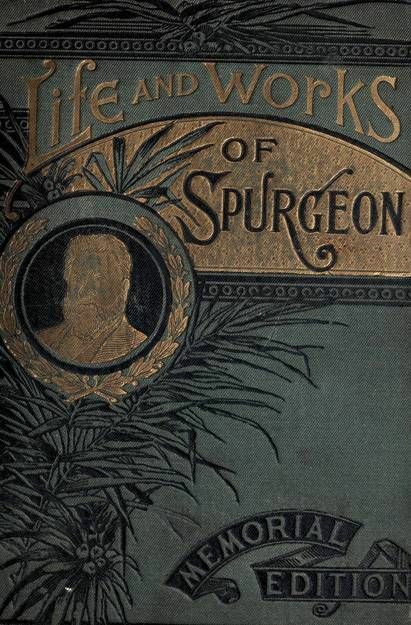 As Reng read Spurgeon’s books, a revival sparked within him. Seventy years later, Ian, Ashley, and Michaela found the house that Reng and Lynn lived in during the war. 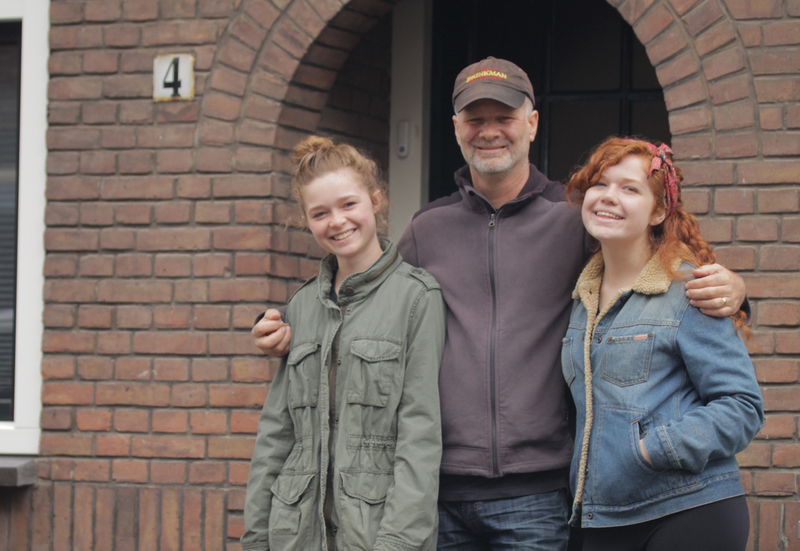 Ian, Ashley, and Michaela in front of the house where Reng and Hans conducted their Underground operations. The current owner told them that when they remodeled the house they found a hole just big enough for a man to slip down into and lay flat under the floor. The homeowners had no idea that this little hole had saved a man’s life 70 years earlier, allowing his descendants to stand there and visit with her in that same room. 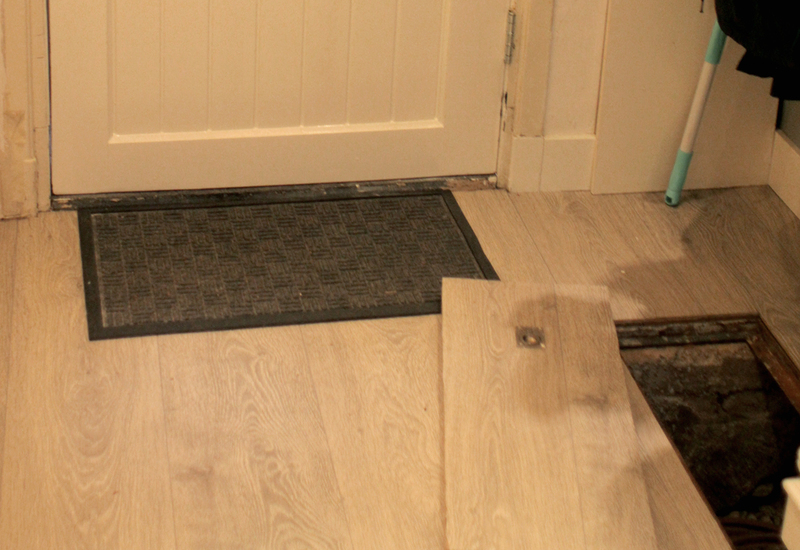 The hole where Reng hid was rediscovered when the current owners remodeled the home. 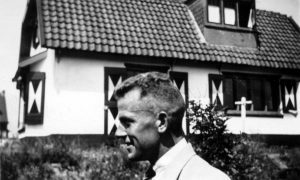 When the Gestapo came for Reng, Lynn put on her boldest face and demanded: “Why are you making such a racket?” Eight Nazi SS agents barged in and searched the little house for over two hours. They never found Reng! When they first entered the room, one of them moved a large chair and placed it directly on top of the hole. The agents then proceeded to roll the carpet up to that spot from all sides. Miraculously, they never moved the chair from that spot. At one point, they demanded that Lynn reveal the location of ‘the hole’. Obediently, she marched them to the front door and uncovered a small hole used to house the gas meter. When the current homeowner heard this part of the story, she smiled. That hole was still used for gas service seventy years later! We recorded the sound of her removing the board that covered the hole and used it in the actual episode. The gas meter hole that Lynn showed the Gestapo. While in jail, Lynn acted a little crazy. Most thought it was because she was a prankster. It may also have been to fool the Germans into thinking she was really losing her mind. Lynn suspected one of the women imprisoned with her was a Gestapo agent intent on obtaining information. At one point, she pretended to sleep talk, hoping to mislead any listening German ears. Reng asked the family doctor to write a note to the prison warden, pleading for Lynn’s release. It informed the warden that she had lost a baby the year before, was again pregnant, and frail of mind and body. This note also said if she was kept in prison she would probably go crazy and lose her baby. That baby was Joanne VanKesteren (Ian Bultman’s mom). If Lynn had not been released, she and the baby most likely would have died. If she would have died, none of Reng and Lynn’s ten children or sixty grandchildren would have been born. We don’t understand why God allowed some to live during this time while others died. But we are grateful that He protected Reng and allowed Lynn and that little baby to survive! While Hans was there he carved a saying on the wall of his cell. Niet klagen maar dragen en bidden om kracht. It means, “Don’t complain, bear the load, and pray to God for strength.” In the episode, these are the words Reng finds written on a note in Han’s Bible. The carving Han’s made on the wall of his prison cell. While in the Netherlands, Ian, Sarah, Ashley, and Michaela visited this prison. There they discovered a cell exactly as it was during the war. 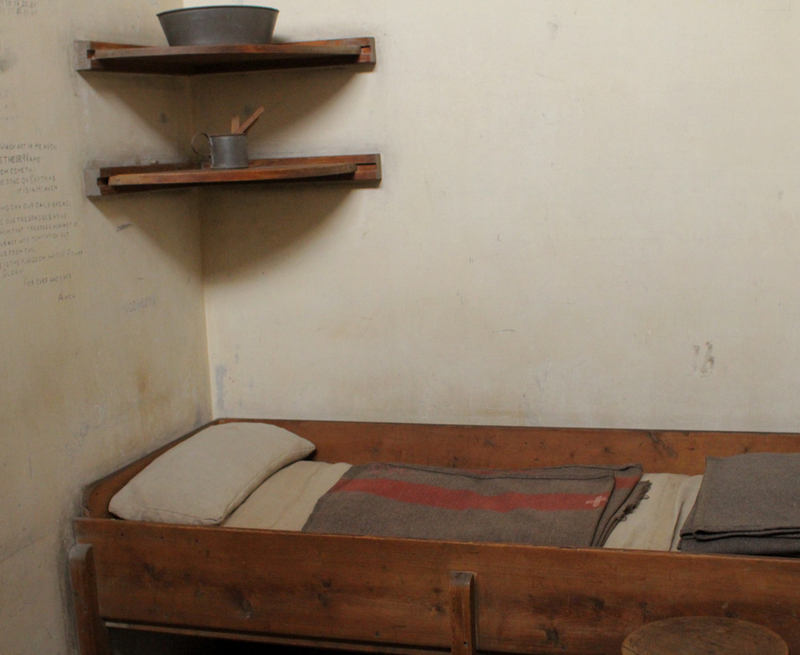 While in prison Hans wrote letters to his family. A letter Hans wrote to his wife from the Orenjehotel prison. On the right is the letter translated into English. Corrie Ten Boom, the famous Dutch woman whose family hid Jews, was also in the Orenjehotel. This is where she was put in solitary confinement. She and Hans were most likely held in this jail at the same time. 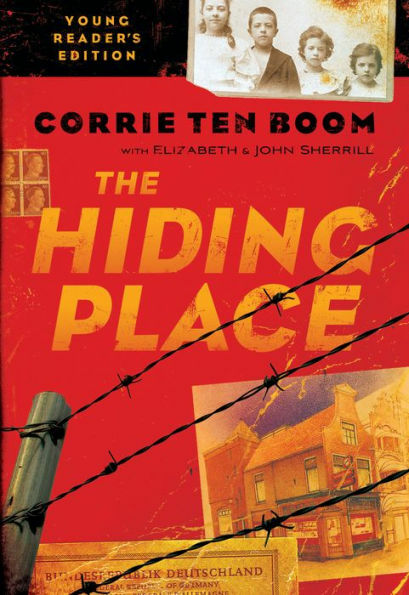 You can read more about this prison and what happened to Corrie in her book called, The Hiding Place. In Corrie Ten Boom’s book, she describes the inhumane treatment that Underground workers suffered in the Orenjehotel prison. 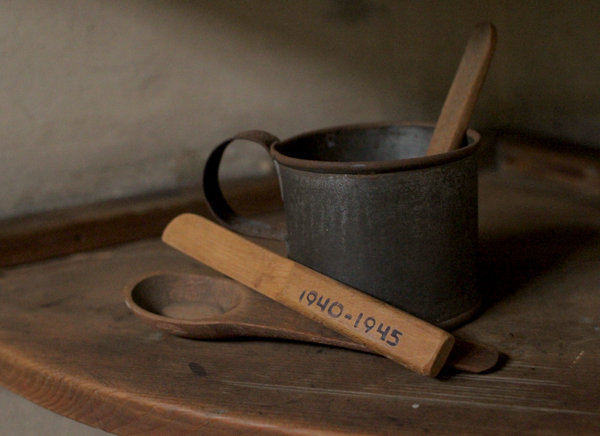 The pictured cup and wooden cutlery survived the war and were shown to us by a prison worker. Reng and Lynn’s first child died at birth. Since they didn’t have enough money to purchase a gravestone, the grave marker only had the number 55 on it. 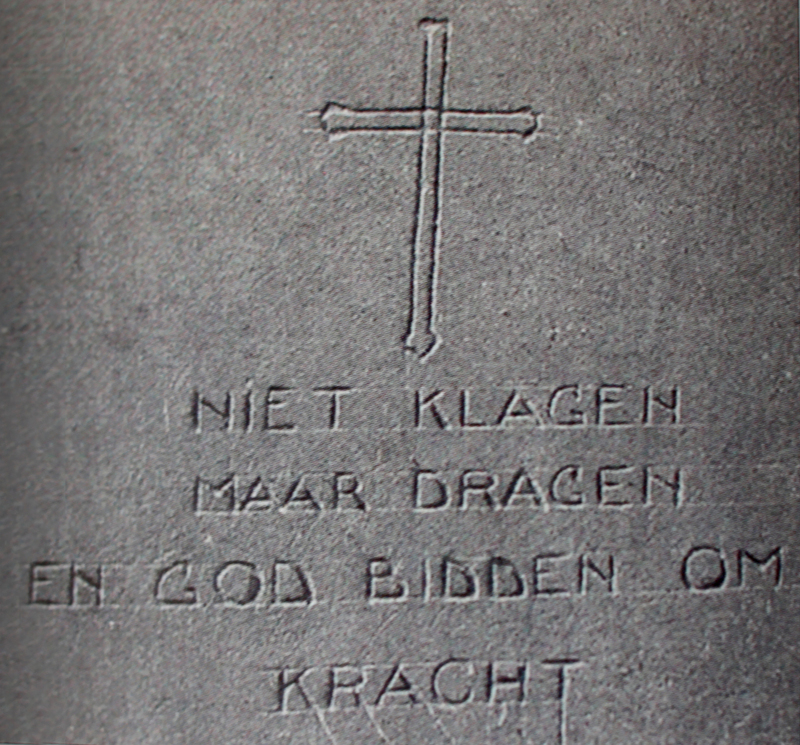 Seventy-five years later, Aunt Sarah and her sisters found the little marker in a cemetery in Voorburg. They honored this little boy’s life and reflected on all of the heartache and sacrificial love that Lynn showed during her life. 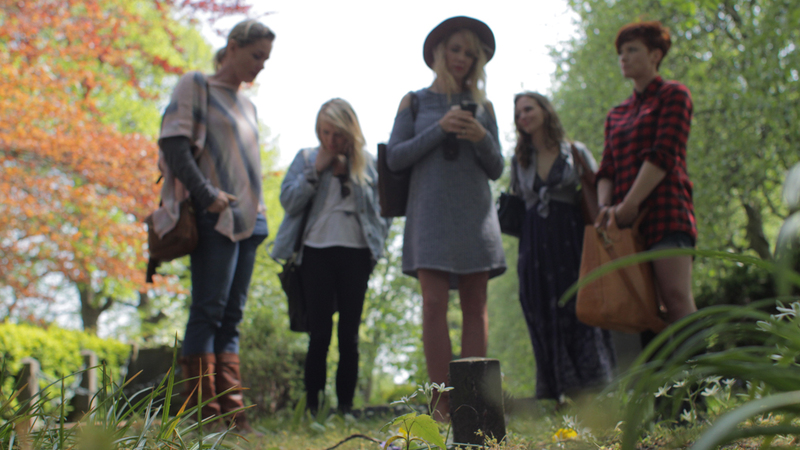 Lynn’s granddaughters traveled to the Netherlands and found the little grave where Lynn’s first child was buried. Theme: Help those being led away to slaughter, even when doing so is costly. We don’t know where Reng and Lynn met after the Nazi’s released her from prison. We don’t know what Reng and Lynn did in the weeks following her release. We also don’t know why the Nazis chose to release Lynn. Over the years our family joked about how clever Opa and Oma were, and how they had tricked the Germans into letting her go. But the Nazis were smart. They had captured Hans. They knew of Reng’s involvement. They even knew where he would hide when they came for him. As we wrote this story, it occurred to us that that the Nazi’s may very well have released Lynn, expecting her to lead them to Reng. Knowing this, Lynn and Reng certainly would have been cautious. Because we don’t know what happened, we asked ourselves what we would have done in the same situation. What resulted was the scenario depicted in the episode with Lynn and Reng misleading the Germans. Listen to a podcast interview with Ian Bultman about the true events of this episode here. This episode is based on a dream of Ian’s that occurred while serving at Alaska Bible Institute in Homer, Alaska. Annie Herring, one of the founders of the music group 2nd Chapter of Acts, had recently done a series of concerts in Alaska. Annie and her husband loved crab, and Ian was sending them a care package of snow crab caught in Kachemak Bay. He needed to wake up in the middle of the night in order to get the crab to the airport so it would stay frozen through transit. 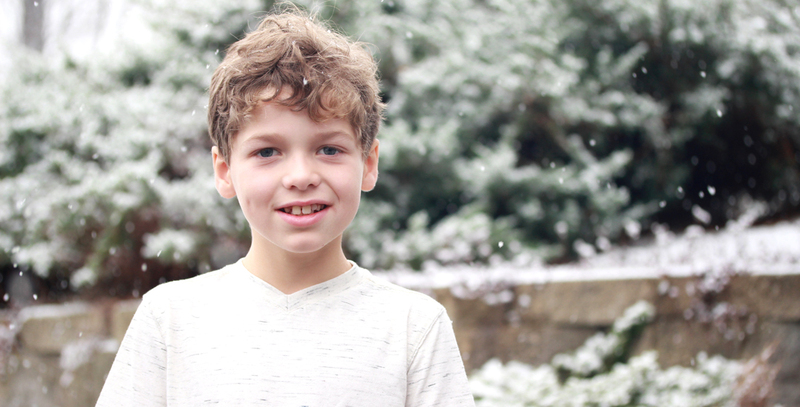 When his alarm went off, Ian woke in the midst of an incredible dream. We dramatized this dream as closely as possible with the exception of inserting the characters of Louie, Feldspar and the idea of a license plate factory. Charlie’s character is based on Josiah Bultman. Joey accepted the Lord at a young age. Even though he was only four years old at the time, all those around him observed a dramatic change. Up to this point, Joey experienced a lot of anxiety with small changes upsetting him and rocking his world. When he asked Jesus into his heart, this changed. He was much more stable and carefree. This episode took its name from a true story. Once Joey was watching a little pupae wiggle on the ground. Suddenly it hatched, flew into his mouth, and he swallowed it! Later in conversation with his mom, he matter-of-factly stated he had swallowed a firstborn fly. After hearing the story, she had a good laugh. We felt this needed to be included in a Brinkman Adventure, and it seemed to fit this episode perfectly. Click below to watch a maggot go through metamorphosis and become a fly. Below is a bit more beautiful display of metamorphosis. In the Bible, God encourages His people to take a day of rest each week. Not only does this help our bodies to recover from a long week of work, it also helps us to remember that He is the One that sustains us in our work and makes it prosper. The Bultman family celebrates a day of rest in a special way every week. Ian Bultman worked as a music pastor for many years so Sunday was a busy work day for him. Because Ian wasn’t able to really rest on Sunday, he and his wife decided their family would rest from Friday night to Saturday night. Many Jewish people also celebrate a day of rest from sundown Friday to sundown Saturday. They call this the Sabbath. Every Friday afternoon, Amy and the kids work together to clean the house and get ready for their day of rest. After supper is over and the dishes are done, they turn off the internet and their phones. They break open the sparkling juice, get out the nice glasses, and then light a candle. One by one, they go around the table and share something they are thankful to God for from the past week. For the next 24 hours, they rest, relax and spend time together as a family. They read, take naps or go for walks on the beach near their house. They also chose to make this a media-free time (except for audio drama, of course). Sometimes they plan a fun outing together as a family, and often Ian and Amy will take a child out for some one on one time. This has become the family’s favorite day of the week and helped prevent burnout during busy seasons of life. In the episode, Kitri mentions how Jack’s dream reminds her of Pilgrims Progress. 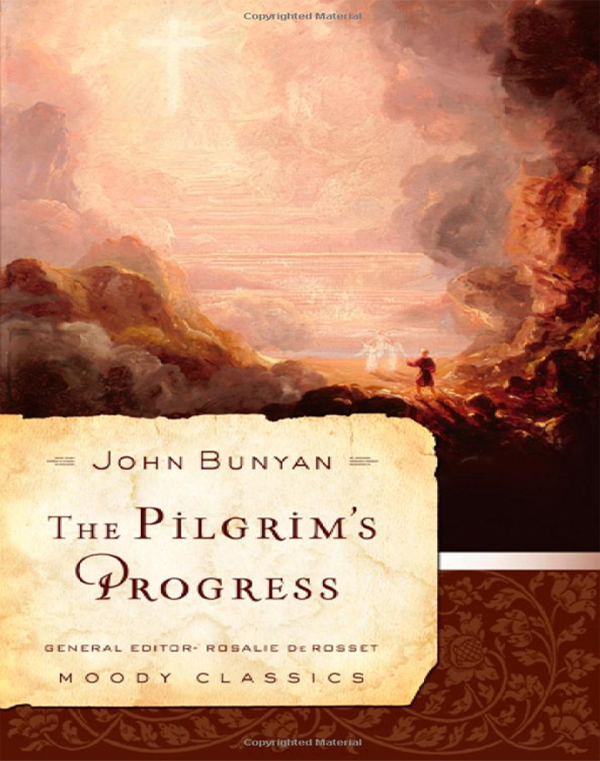 An allegory by John Bunyan. It is quite similar and sheds light on the Christian life. If you haven’t yet read this classic, check it out! In Twice Born Fly, we purposely brought back some characters in a dreamlike fashion. Feldspar from War of the Raccoons and Louie from Busy Bees and a Bullhorn both make a cameo. Did you happen to recognize the voice of the warden? We added some effects to the voice but you may still have noticed it was none other than John Benti! Another interesting fact is that the character of Louie and Mr. Pennington are both played by the same actor, Jim Reith! Jim also produced our first three seasons. Logline: Watching an insect emerge from larva, and then accidentally inhaling the fly causes Charlie to question his own mortality and life after death. While Ian Bultman really did have this dream, it didn’t lead Joey to consider giving his life to the Lord. In reality, Joey asked Jesus into his heart on his own in his bed one night. He told everyone at the breakfast table the next morning. We are not sure exactly what circumstances or conversations led to this, but the transformation in his life was real and quite amazing! And yes, he did shout it from the top of the picnic table! Episode 58: I Wonder Why? Listen to a podcast interview with Brian and Kelly Wonder about the true events of this episode here. This episode is based on the true story of the Wonder family (some names were changed for security). We wanted to highlight the experience of a girl leaving home and accompanying her parents to a foreign country to minister to different people group. In this story, we follow a girl named Samantha (Sam for short). 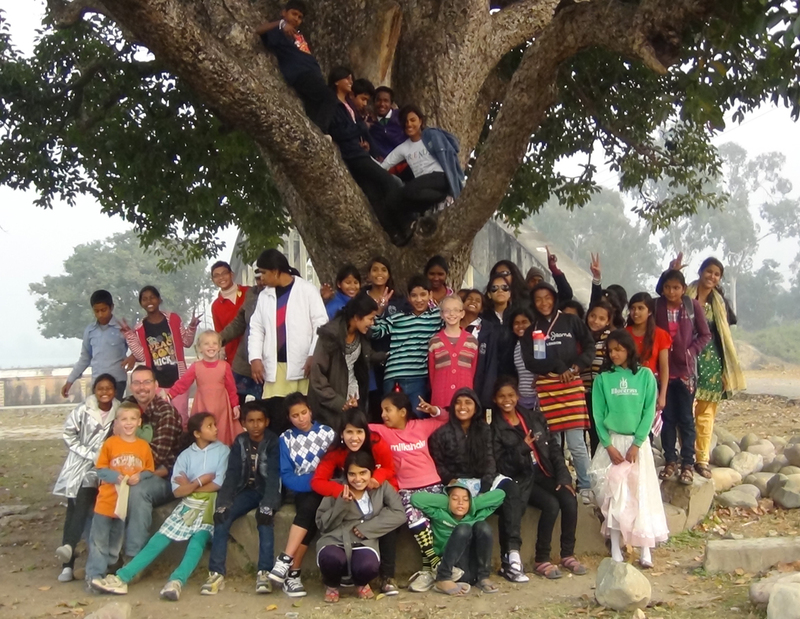 We have the opportunity to see how hard it was for her to give up most of her belongings and leave her friends in order to serve in an orphanage in India. 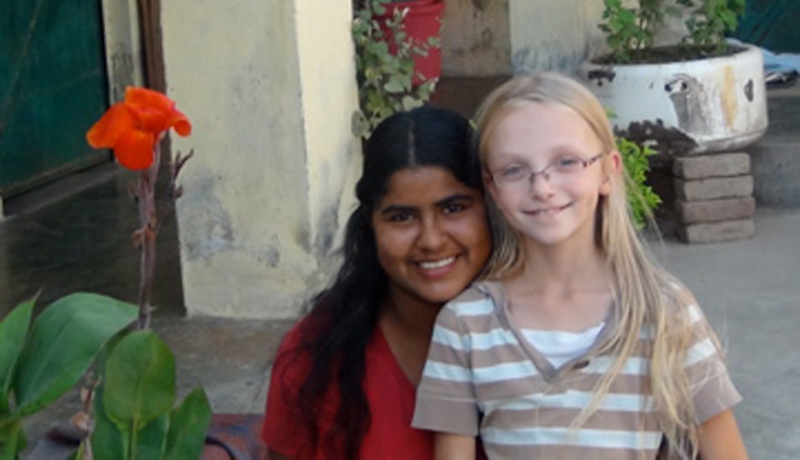 Sam was 9 years old when her family sold 90% of their possessions and moved to India. Later they found out it indeed was a bug. The rove beetle to be exact. The poison inside the beetle causes the rashes. The dreaded rove beetle caused the family to get blister beetle dermatitis. Wikipedia: Once pederin is on the skin from the initial beetle contact, it may also be spread elsewhere on the skin. “Kissing” or “mirror-image” lesions where two skin areas come in contact (for example, the elbow flexure) are often seen. 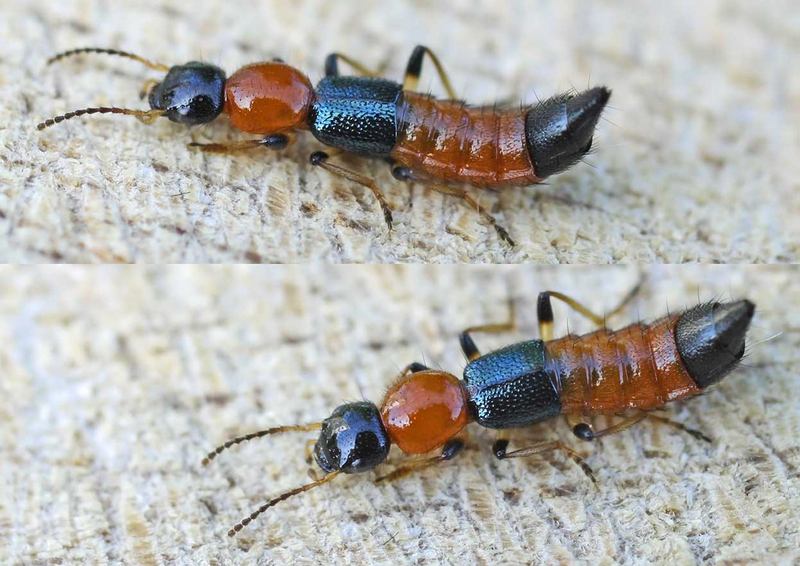 Washing the hands and skin with soap and water is strongly recommended if contact with a rove beetle has occurred. Initial skin contact with pederin shows no immediate result. Within 12–36 hours, however, a reddish rash (erythema) appears, which develops into blisters. Irritation, including crusting and scaling, may last from two to three weeks. As the situation in India became more discouraging, Huck experienced a near-fatal asthmatic reaction while riding in a horse-drawn carriage. Sam and Huck in the back of the carriage just before Huck’s allergic reaction. The family got him home just in time to administer a shot of epinephrine to Huck and open his airways. 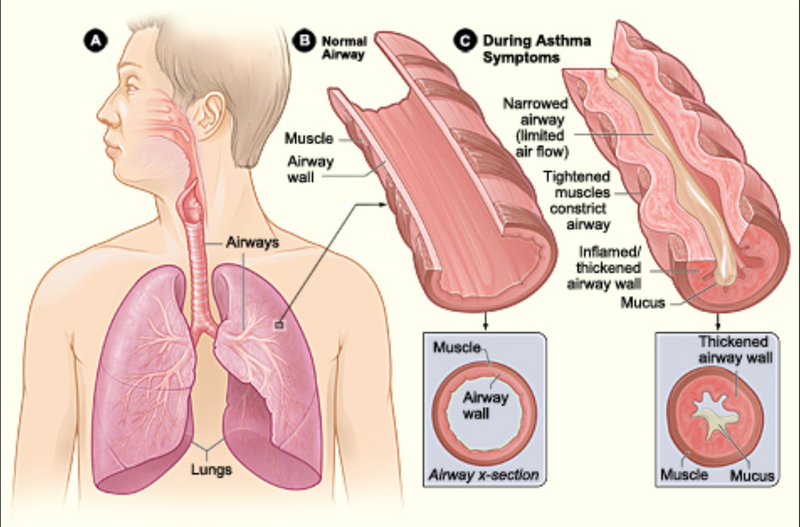 Asthma narrows the airway passages in the lungs. A shot of epinephrine causes the muscles in the lungs to relax and helps open the constricted airways. It was in the middle of this scary and difficult time that God chose to work. 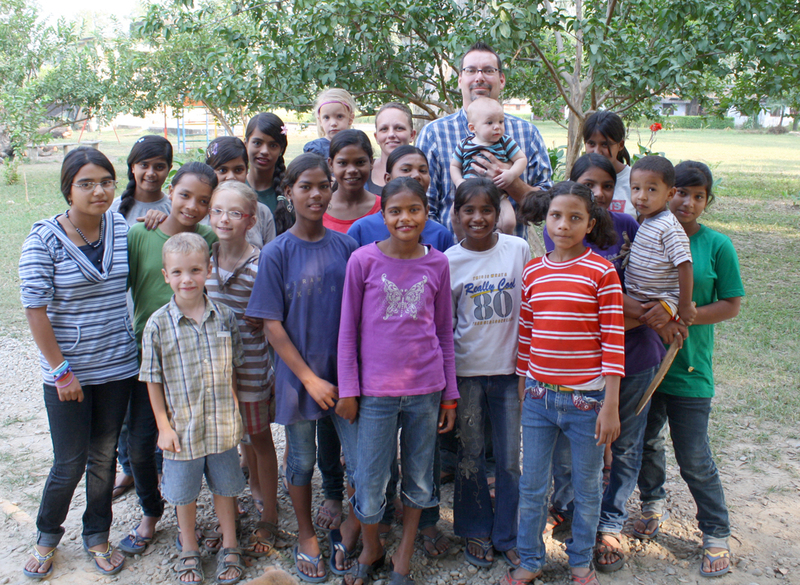 Mr. Wonder had been conducting Bible studies with the orphans for months with no significant change in the children. But one day, shortly after Huck nearly died, Brian was sharing with the orphans his own testimony about how he gave his heart to the Lord. Brian shared how God filled a deep hole in his heart. The children all said they knew what he was talking about. He wasn’t sure they understood so he brought in an interpreter to have her explain it in their native language. After a while of going back and forth, he realized that the hunger in their hearts for Jesus was real. Twenty-three of them raised their hands and asked Jesus to fill the emptiness in their heart. Before this, the kids were hardened and angry and didn’t want to pray out loud. After Mr. Wonder led them in a prayer to receive the Lord, they began praying out loud and confessing the bad things they had done. They were struck by the love of the Lord. Kids who had never humbled themselves before were on their knees crying out to God, asking forgiveness for how they had treated the others. The kids who were once the most troublesome students at school became the best behaved and now excel in their studies. 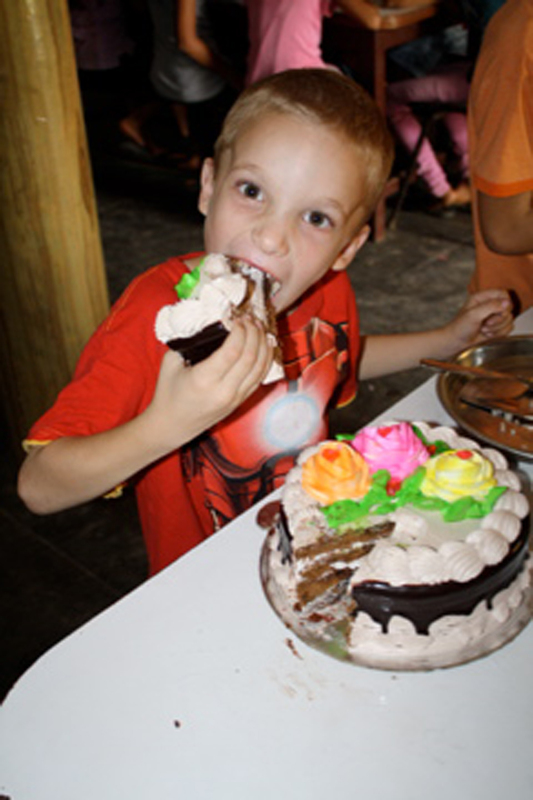 Huck eating cake made of wheat flour at his party. Mrs. Wonder and some of the older kids. When the Wonders first came, the young lady who had been in charge was guarded and cold towards them. But as Mr. and Mrs. Wonder confronted Julie about her bad behavior, and as they continued to love her no matter how angry she became, Julie began to soften. She started apologizing for things she did wrong. In a years time, she became like a daughter to the Wonders. She began loving and nurturing the other children. Jesus’ love truly changed Julie’s heart as well. Julie (name changed) and Sam after the kids changed. Sam began to realize what love was, too! By the end of the year, she had also given her heart to Jesus. Logline: A carefree girl suddenly finds herself uprooted when her parents decide to give away all that they have and move to India to serve in an orphanage. With her friends and her possessions gone, will she discover meaning in this crazy journey? Theme: We obey God even when the plan doesn’t make sense. We added a scene with Sam and her friend on electric scooters and also the scene of Sam and her dad being dive-bombed by red-winged blackbirds. Besides these two scenes, we were able to tell this story very close to how it actually happened. We met the actor who plays Huck in this episode at a homeschool convention in Chicago. This boy was able to quote the first season of Brinkman Adventures nearly word for word, even using the actors’ voices. We were amazed by this! So when it came time for us to find a character to play Huck, we chose this young man. His father drove him up from Chicago to our studio in Milwaukee to record the episode. What’s amazing is that the actor’s real name was actually Huck!!! Even more amazing… the actor was the same Huck in the story! That’s right… Huck played himself!! And we think he did a great job! His dad also acted in the episode and was the voice of the horse-drawn carriage driver yelling during Huck’s allergy attack. As you can imagine, this was an emotional scene for Huck and his dad to reenact. Since allergies can be dangerous, we felt it was important to add Michelle’s caution at the end of this episode. While Huck’s healing really occurred as portrayed, we wanted children to understand they must always follow their parents’ leadership when it comes to medical issues and dietary concerns. Would you like to write to the Wonders? E-mail us at brinkmanadventures.com and we will forward your letter to them. Listen to a podcast interview with Dave Eubank about the true events of this episode here. 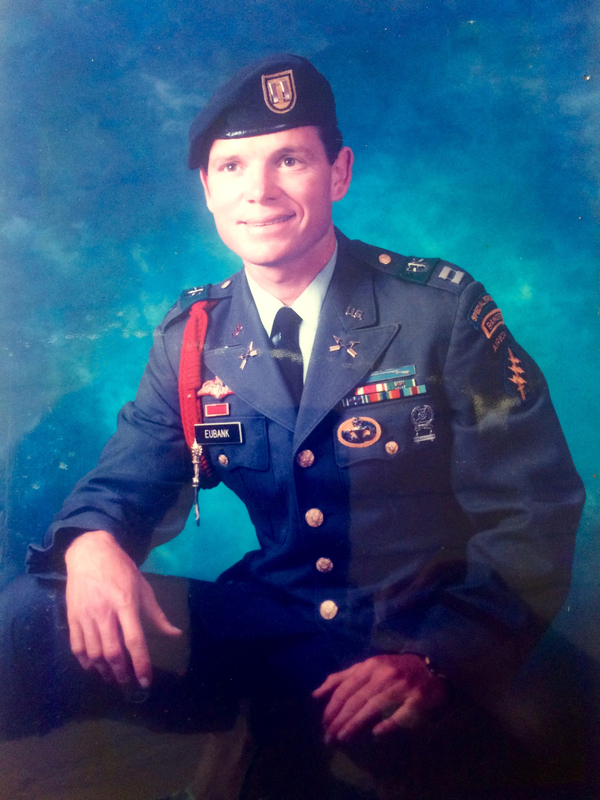 This episode is based on the true story of Dave Eubank and his journey from boyhood into a career as a Green Beret in the Special Forces. When Dave was young he would often explore the jungles of Thailand with his dog. In the episode, Dave’s dog saves him from a tiger. In the real story, it was not a tiger, but rather a rabid dog that attacked Dave. He was only 5 at the time, and he jumped up on a swing set to get away while his faithful German shepherd killed the dog. However, during the fight, Dave’s dog was bitten and later died from rabies. 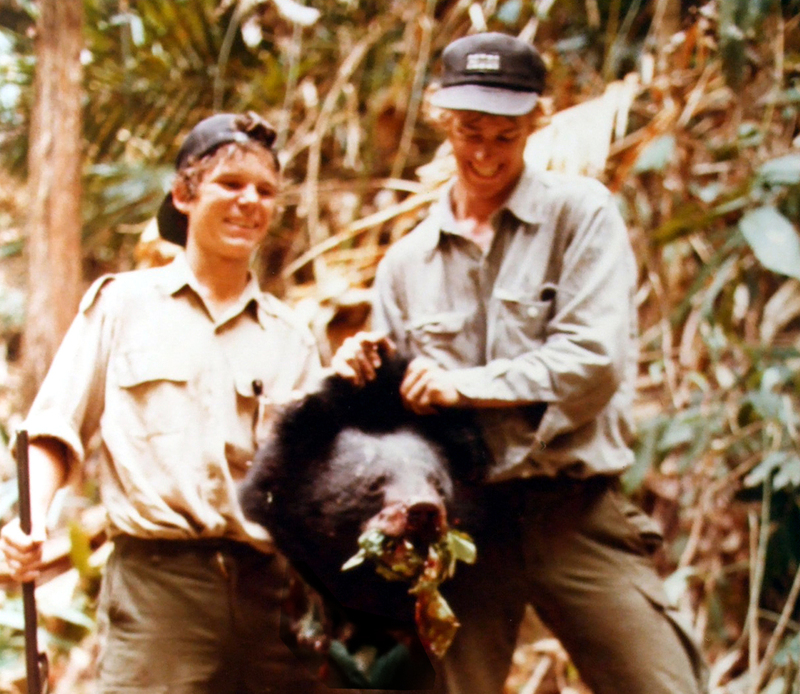 Dave was also only 5 years old when he raised his pocket knife in the air and said, “One day I’ll be a soldier, and one day I’ll be a missionary.” He loved to go hunting with his dad. They would always tell people they were hunting for tigers. Dave and his dad with a bear. Dave often got into trouble for fighting at school. His interest in the military seemed innate, like a sixth sense. It was accentuated by his dad who had been a soldier. He did a lot of reading about the military which fed his interest, as well. And then, finally, the Vietnam war and its proximity to home also helped direct him towards his career choice. After graduating college, he applied for the Army and was accepted. He continued training until he was a Green Beret in the Special Forces. Watch below to see what it takes to become a Green Beret in the Special Forces. 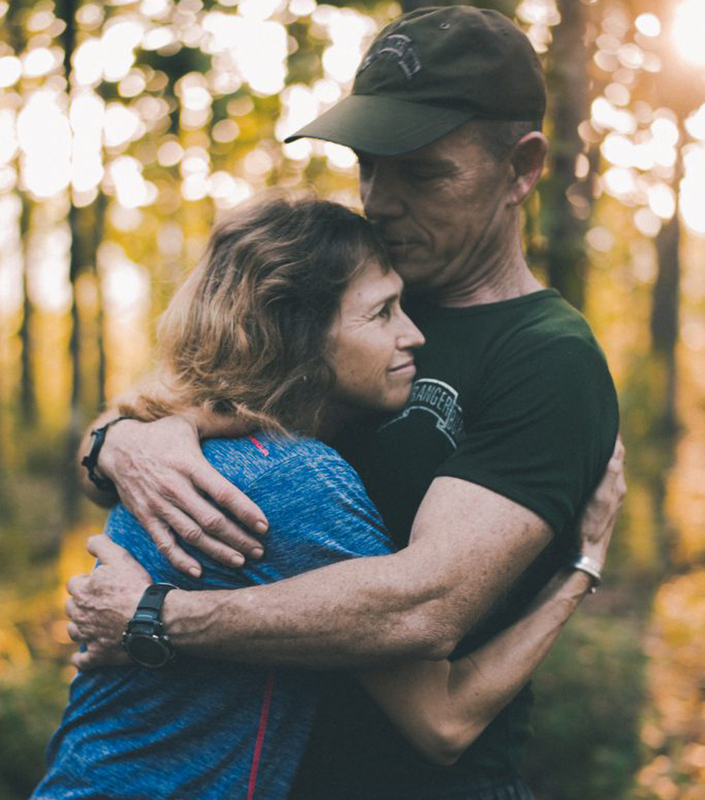 Dave excelled and climbed through the ranks starting as a Recon platoon leader in Panama with the 1/187th Infantry then as a platoon leader in the 2nd Ranger Battalion then as a Detachment Commander in his 1 st Special Forces Group. He not only became a Green Beret, but a captain with the Army Rangers, leading teams on dangerous missions all over the world. In the episode, you hear the final jump that concluded Dave’s training. That day the green light to jump should not have been given. Dave was the only one who wasn’t taken off the field on a stretcher. Click below to follow some Army Rangers as they perform a water jump. Army Rangers performing a water jump. Dave and other Rangers getting ready for a jump. Just before Dave and Karen became engaged, Dave received a call inviting him to help the Wa tribe of North Burma in 1993. 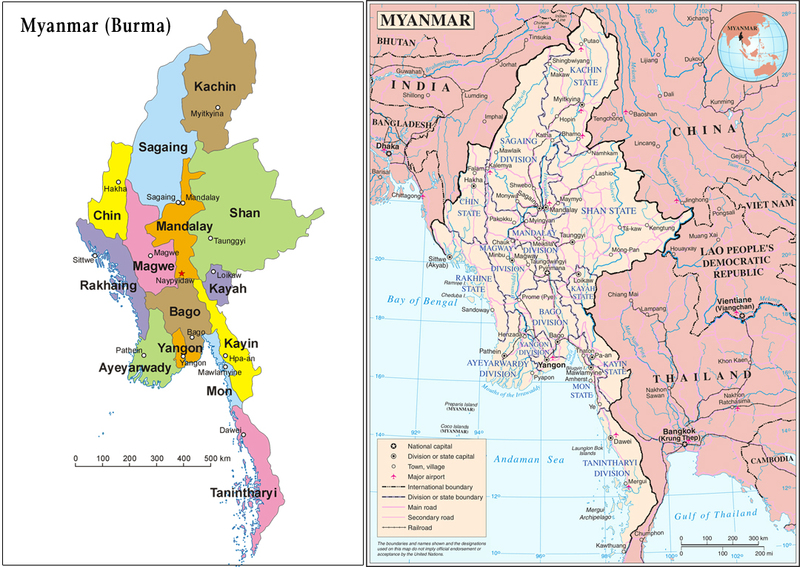 Burma has been fighting since World War 2. In a sense, WW2 continues in Burma. It is sad to see how many people have been killed in this beautiful country. While Dave grew up in the neighboring country of Thailand, he heard of the wars in Burma. Little did he know that one day he would found a relief organization to bring hope and healing to those fleeing from the Burmese army. Today, Dave and Karen have 70 teams from 13 ethnic groups including Kachin. Their training camp is in Karen state. Dave received his invitation to Burma while Karen was still unsure if she wanted to marry him. But a week after his call to Burma, Dave and Karen were engaged and three months later they were married. They spent their honeymoon in Burma. The scary soldier they met on the path was actually a man named Eliya. After that first encounter, Eliya became their friend and now serves as an integral leader with the Free Burma Rangers. He serves as their Chief Medic. According to the Free Burma Rangers website: “He is fast, highly skilled and brave. He is a Karen Christian, is 37 years old and is married to “Cat” a beautiful and dynamic nurse. They have four children. Eliya is a gifted medic, trainer, champion kickboxer, artist, singer, cook, hunter and all around athlete. He served as a medic in the Karen Army (KNLA) and is admired for his bravery under fire, mature decision making, ability to handle complex situations, get along with everyone and for his lifesaving ability. He is almost always smiling and his distinctive, booming laugh can be heard wherever he is present. He is unflappable under pressure, never gives up, prays with faith, shares all he has and is supremely talented.” Click here to read more. *Warning this link contains some graphic images. Eliya taking care of a wounded man on one of the rescue missions. Logline: A missionary kid dreams of becoming a Green Beret in the Special Forces. When his dream comes true, will God take it away and call him to do something completely different from his passion. And if that call does come, will he follow? Theme: God uniquely prepares us for our mission. God isn’t a killjoy. There were just a couple things we changed in this episode. As was mentioned, Dave was attacked by a rabid dog rather than a tiger. Dave also referred to reading a “Tozer” book in a conversation with his professor. We added this because we thought it would be fun to highlight one of the authors we love. A.W. 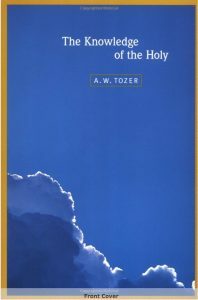 Tozer was a preacher from 1919-1963. He wrote more than 60 books. The Knowledge of the Holy is one of his most famous books and has transformed the spiritual life of many people over the years. If you haven’t yet read this book, read it! This story is based on true events that happened in the lives of Dave and Karen Eubank and their family. 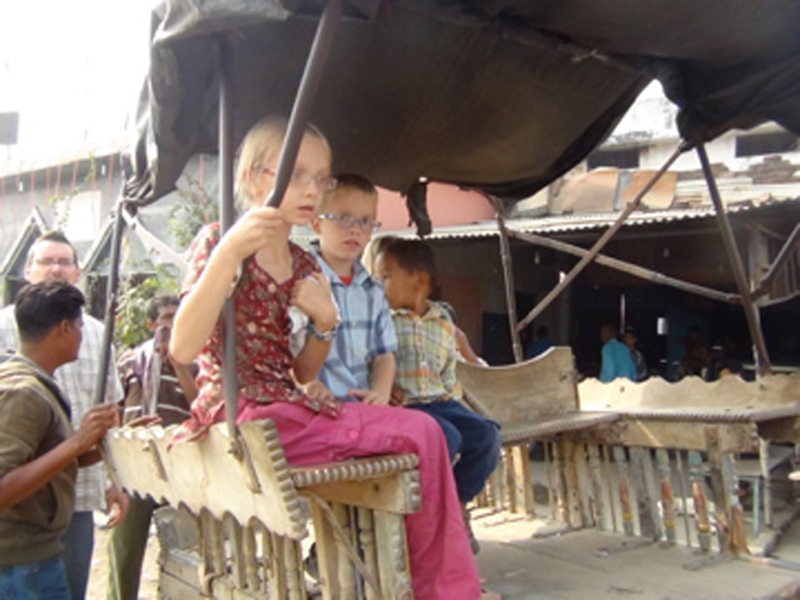 Dave and Karen have been living among the Burmese minority groups since 1997. At first, their plan was to work alongside government officials to help local farmers replace their opium crops with healthier solutions. But as they witnessed the Burma Army brutally attacking innocent civilians and destroying villages, Dave and Karen’s hearts broke. It was then that they realized Dave’s experience as a Green Beret could best be used to serve the people in these conflict zones. So they started bringing aid to the people in attack zones and would help them escape. Later, they began training Burmese nationals to work alongside them, birthing what today is known as Free Burma Rangers. Dave and Karen are living, breathing demonstrations of Jesus’ love in the middle of life-threatening situations. The Free Burma Rangers are trained to bring help, hope, and love to people in the conflict zones of Burma, Iraq, and Sudan. FBR works together with local ethnic pro-democracy groups, to train, supply, and coordinate highly mobile multipurpose relief teams. Once trained, the teams provide critical, emergency medical care, shelter, food, clothing, and human rights documentation in their home regions. Rangers come from many different ethnic group and religions. The Free Burma Rangers are sure to let each recruit know that they aren’t there to side with any particular ethnic group, instead, they are there to promote freedom and help to anyone who is wounded and oppressed. They often pray for the army that is coming to attack the villagers they are helping to flee. To be a Ranger each applicant must meet a few basic requirements. They must be able to read and write, they must love their people, they must not run to a safety zone if others can’t run, and they must never give up. Love each other, unite and work for freedom, justice, and peace. Forgive and don’t hate each other. Pray with faith, act with courage, never surrender. 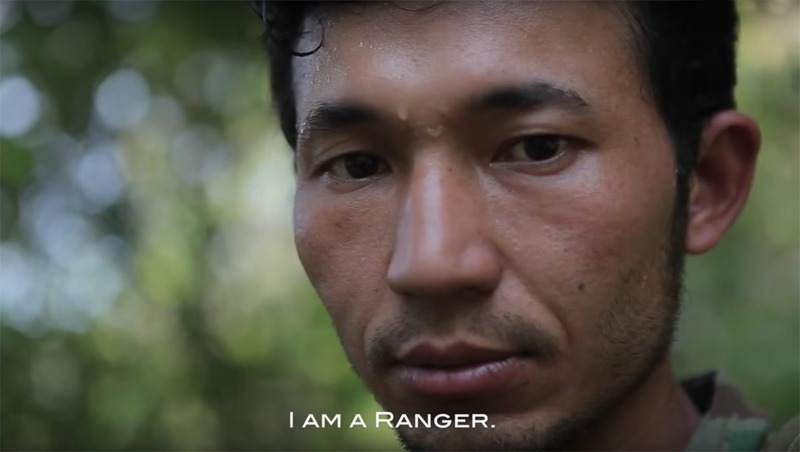 Below is a video that gives you an incredible look at what the Free Burma Rangers are doing and why. 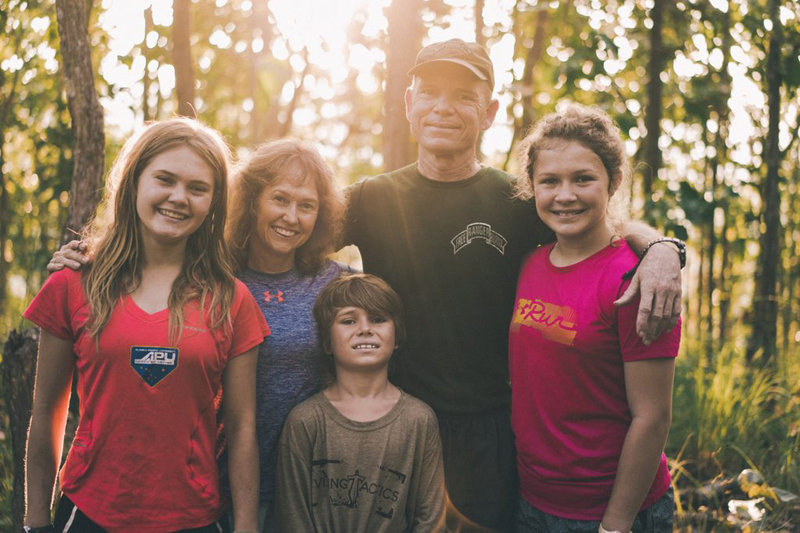 Dave and Karen have raised their children Sahale, Suuzanne, and Peter in Burma. Their children love the Burmese people. 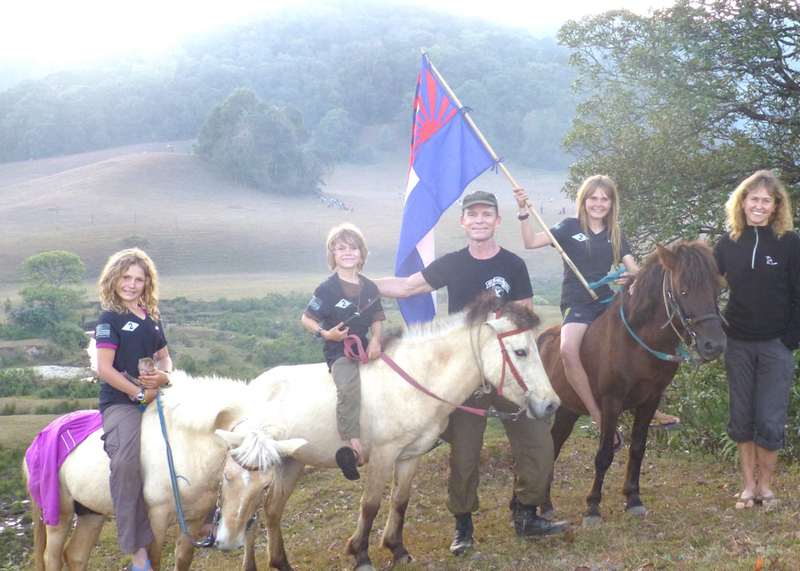 From a young age, they have been helping the Free Burma Rangers bring hope to children in areas of conflict. They love riding horses, swimming, hiking and doing all kinds of adventurous things! If you look closely you can find Sahale, Suuzanne, and Peter helping lead a song during a Good Life Club at an IDP (refugee) camp. The Eubanks love horseback riding. In this episode, you hear how the 400 Burmese foot soldiers were chasing a village, Dave and Eliya wanted to meet the soldiers at the pass to block them, but suddenly, at the last minute the army turned and went a different direction. This really happened, but the actual story is even more amazing! 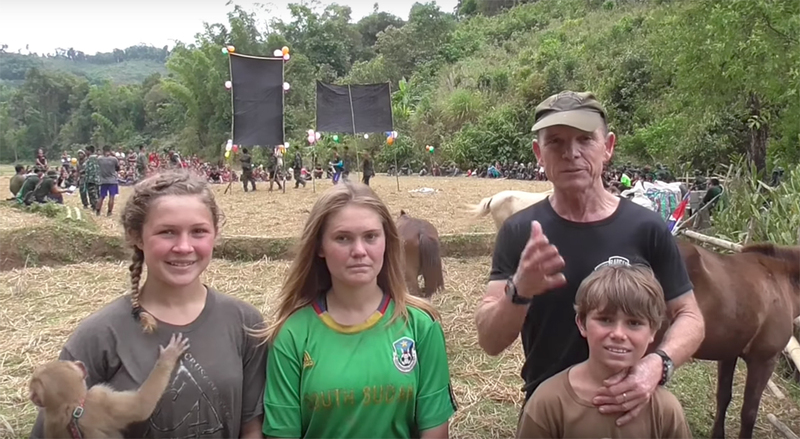 As Dave tells it, there were 21 Free Burma Rangers trying to protect a fleeing village against 400 soldiers. Dave divided the Rangers into three groups of seven. Each group was stationed at a pass where the army would likely come. The army first came towards Dave’s location, then without warning turned and went to the second pass where more Rangers were stationed.Just before reaching that pass, they suddenly turned again and went toward the third pass. Then again, before they came upon the third group of Rangers, the army simply turned and went back to their camp. Things like this happen often as the Rangers help villagers. They pray and then trust God to guide and protect them. 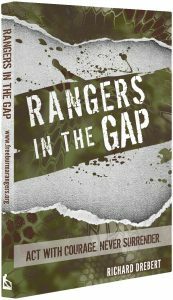 You can read more about Dave and the Free Burma Rangers in the book Rangers in the Gap. What is Dave doing now? He and his family still live in Burma and oversee the training of Rangers while continuing to help those in conflict areas. He also travels with his senior Rangers to conflict zones in other areas of the world. 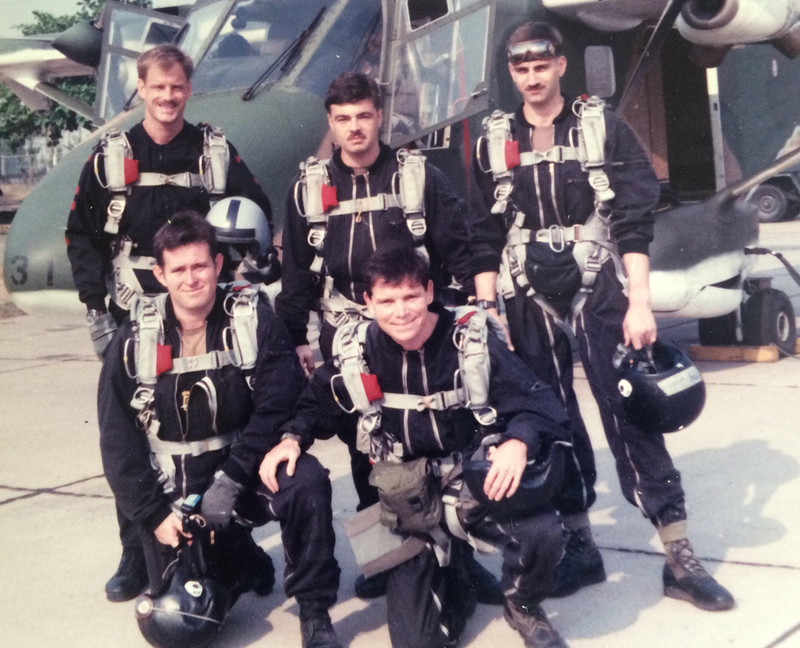 Most recently, they have been in Mosel, Iraq rescuing people from the firing lines of ISIS. Read the incredible story here on ABC News. Dave rescuing a girl from the firing lines of ISIS. Logline: Former Army Ranger Commander Dave Eubank allows the Brinkman family to join him on a mission deep in Burma. 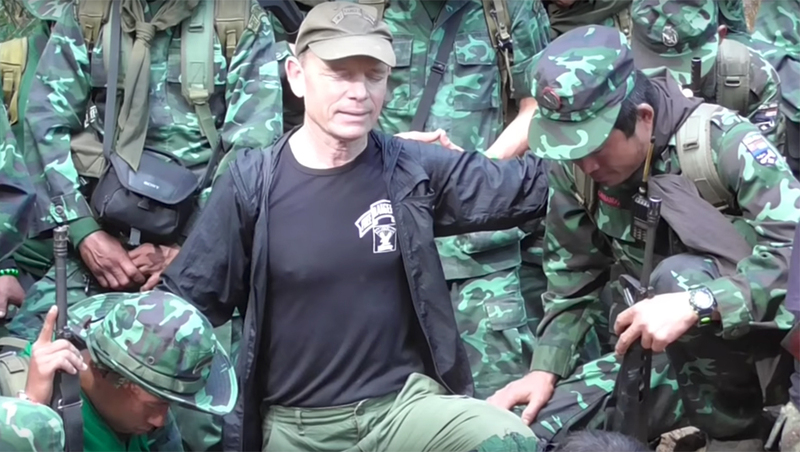 What begins as a simple relief effort turns into a case of cat and mouse as the Burma army closes in with hundreds of soldiers intent on killing Dave and his group. Will this be Dave and the Brinkmans last mission or can they evade the army and lead ninety displaced people to safety? Theme: When God is silent, He is still present – in this case, we must persevere and trust. Psalm 22:1/Psalm 23 He will never leave us. Silence is only perceived absence. The advance and retreat of the 400 Burmese soldiers really did happen, as well as a woman having a baby while they were fleeing. But they didn’t happen at the same time. The Kachin army does protect the FBR workers as they help the villagers flee from the Burmese army. 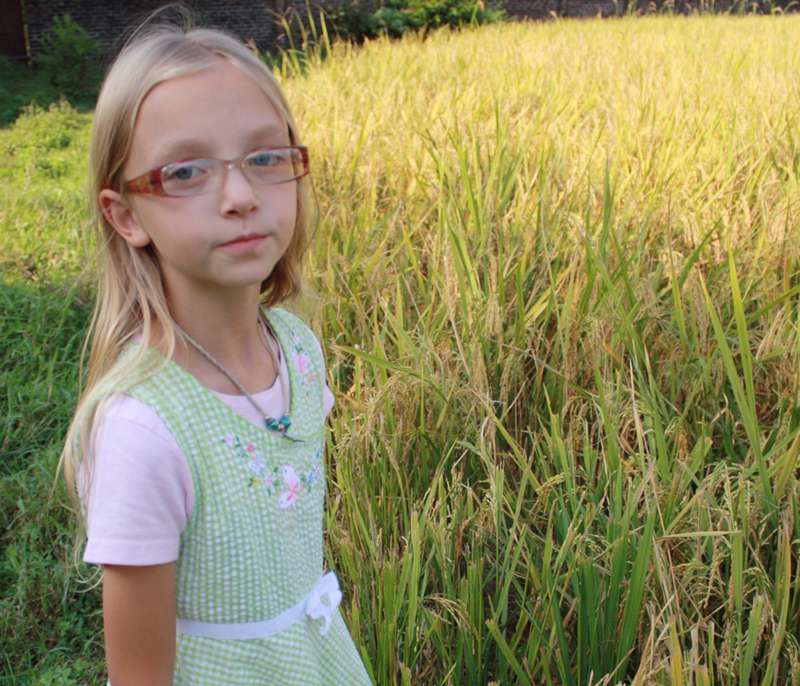 The Bultman family has never been to Burma. 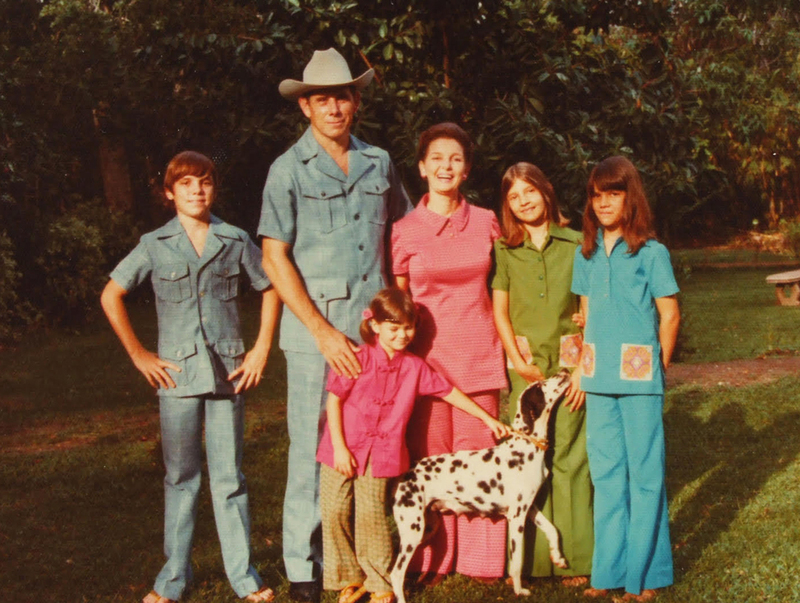 Ian and Dave came up with the idea of inserting the Brinkman family into the story based on a similar scenario that occurred with a different family. The Eubanks visit Alaska occasionally and were introduced to Ian by his brother-in-law Jonathan who serves as lead pastor for the Church on the Rock in Wasilla, Alaska. Dave and Ian have both attended this church’s annual mission conference. To learn more go to their website (freeburmarangers.org). *Warning some pages contain graphic images. Ep. 58 – I Wonder Why?